A Grand Day For Cobequid Raises Over 75K. #Sackvillan Lyne Brun Wins A Nice Award! | Sack-Vegas!!!! A Grand Day For Cobequid Raises Over 75K. #Sackvillan Lyne Brun Wins A Nice Award! Check out the above link for all the details on the big event from this past Saturday. They all raised a nice chunk of cash for the Cobequid Center and did a whole lot of kayaking on Grand Lake to earn it. Way to go, everyone involved! Super Sackvillan Lyne Brun won an award for most funds raised for an individual with over $950 smackers. Lyne won a trip for 2 to Montreal, flight, hotel and 2 tickets to her choice of a Habs game! 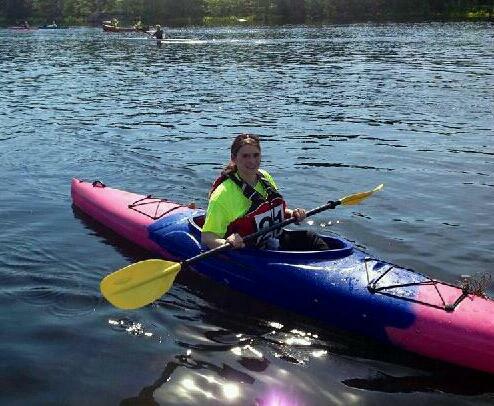 I know she is hurting pretty bady from the 12K kayak trip, hopefully she will recover before next hockey season. Hahaha! Posted by Sacky on June 24, 2013 in Shared News, Uncategorized.